This was first published over a year ago (when about a dozen people were following this blog:). It’s been a particularly busy week or two, so perhaps you’ll enjoy this slightly edited re-post. You know an awesome storm is on the way when it’s dark outside at 10 o’clock in the morning. 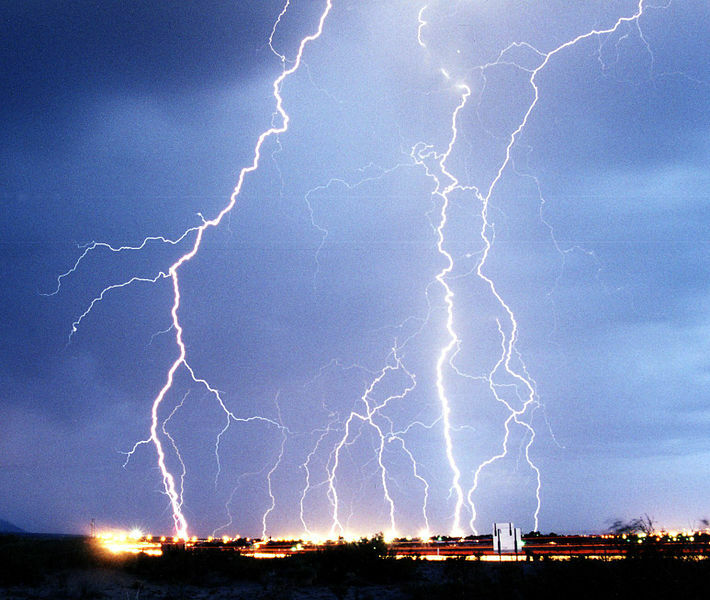 After the darkness, thunder like the percussion section of the Chicago Symphony, lightning, wind and rain add their special effects to the stormy composition. A thunderous storm performance is awesome. I was similarly awed by the power of ocean waves during a vacation to the Outer Banks of North Carolina. 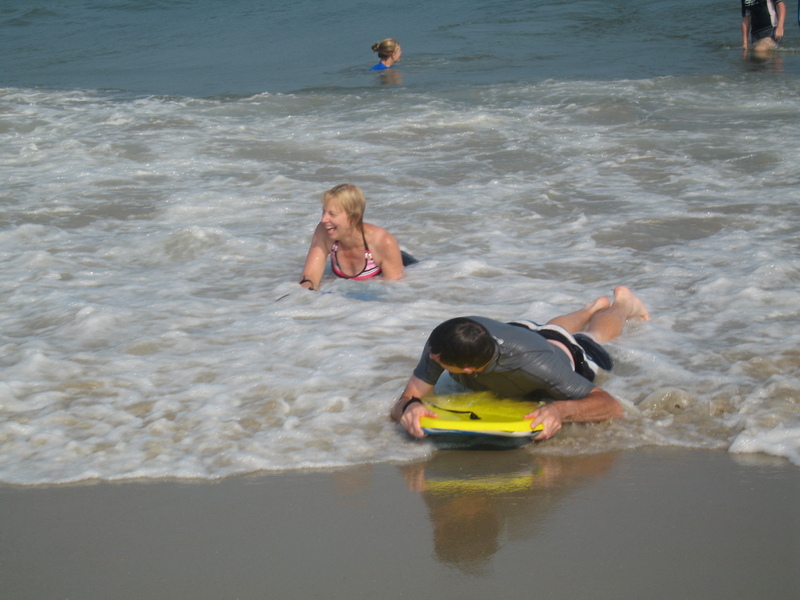 I thought I’d try a little body surfing like several others around me were doing. The water was only waist level, if that. How difficult could it be? Let’s just say that I did not ride a wave; the wave rode me. I got tossed, lost a contact lens, and emerged with new respect for the power of even “small” waves. Other moments of awe are stunning, not because of their power, but because they are so very personal. During that same beach vacation, a wonderful week with three other families, we were fascinated by jumping stingrays. Some stingrays, we learned, occasionally jump out of the water and flip back in. Who knew? One late afternoon, as we sat in front of the surf, I said, “I’d love to see one of those jumping stingrays!” And in less than thirty seconds, right in front of us, a stingray jumped. Twice. Now, you might say that was a coincidence, but I believe that God, the same powerful God who conducts symphonies in the sky and directs the crashing waves, decided to delight us in a very personal way that day. God’s mighty presence and fearful power are overwhelming, yet his heart is inviting. God is dangerous, and he is good. God is fearful, and he is gentle. God is powerful, and he is tender. How do you perceive God? Fearful? Tender? Powerful? Gentle? All of the above and much more? What are some of your moments of awe? Gallery | This entry was posted in Inspirational, Mystery, Perspectives, Power of God and tagged Awe, Awesome, C.S. Lewis, God, Outer Banks, Power of God, Thunder storm, Waves. Bookmark the permalink. Beautiful post! In response to your question, “all of the above.” I am in awe of Him, every time I experience His manifest presence! May the Lord bless you, abundantly. Love this one…cannot read it too often! “He loves me so much…” Maybe that is the most awesome fact of all! Blessings back to you, Caddo! Awesome and unfathomable–I can’t wrap my head around it! Maybe a few would say that the Lord spoke roughly to me, but at that moment, my greatest need was knowing He understood where I was at. And He did. He knew all of my anguish and more. The Lord’s response to you does not sound rough to me at all. You are so right that Jesus knows far more anguish than we’ll ever experience or even comprehend. It seems he has invited you to experience some of it with Him. Bless you Larry.